• Occupation or position held: President of “Apitherapy Consulting & Trading International” Ltd.
*Offering international expertise and consulting in the area of Apitherapy, Apipuncture, Api-Nutrition and Api-Phytotherapy (medicinal use of bee products and medicinal bee plants). • Main activities and responsibilities: offering international expertise and consulting in the area of Apitherapy. *Responsible for the treatment of patients employing therapeutic methods involving Complementary Medicine (Apitherapy, Phytotherapy, Aromotherapy, Acupuncture, Acupressure etc.). · Canada, British Columbia, Langley, Back & Body Clinic, Dr. Timothy Brown, ND (April-June, 1995). • President of “DAO” Ltd., Constanta, Romania. *Medical practice in areas of preventive medicine and natural therapies with an emphasis on the use of bee products (i.e. honey, propolis, bee venom, royal jelly, bee pollen, bee bread, Apilarnil, etc.). *Conducted clinical studies on Apitherapy, Acupuncture and Acupressure applied for the diseases of different patients. *Participated at several international symposiums and has given lectures and courses on Apitherapy, Acupressure and Acupuncture. *Developed and implemented a computer program “ APITHER ” for offering specific information on bee products and their use for the human and animal health; in December 1995 signed a contract with a German partner for implementing the program in German speaking countries. *Developed and implemented a computer program “ COMPAC ” for diagnosis and therapy in ACUPUNCTURE , ACUPRESSURE , IRIDOLOGY and related methods (1986-1992). *Responsible for medical treatment, disease control & prevention of military personnel in the Navy. *Conducted studies on Complementary Medicine (Acupuncture, Acupressure and Iridology usefulness for specific Navy conditions and diseases). *Responsible for medical treatment, disease control & prevention of military personnel. *Conducted studies on Dermato-Gliphology, Biorhythmology, Electro-Acupuncture Analgesia in Open Heart Surgery and Medical Dowsing. · 2010-2014: PhD Student at the University of Medicine and Pharmacy Carol Davilla, Bucharest, Romania. Doctorate subject: “Api-phyto-aromotherapy of viral hepatitis C”. Black Sea University – summer courses. Training in practical and theoretical Apitherapy. The Medico-Pharmaceutical Post-Universitary Institute, Bucharest, Romania and the Homeopathy Society of Romania. The Medico-Pharmaceutical Post-Graduate Institute, Bucharest, Romania and the Acupuncture Society of Romania. Student at the Faculty of General Medicine (military department), Bucharest, Romania, Carol Davilla University. High School (Mathematics and Physics profile), Magurele Physicians town, Bucharest, Romania. • Reading skills EXCELLENT for ENGLISH, FRENCH, GERMAN AND SPANISH, GOOD for PORTUGUESE. • Writing skills GOOD FOR: ENGLISH, FRENCH, GERMAN AND SPANISH. • Verbal skills GOOD FOR: ENGLISH, FRENCH, SPANISH and GERMAN. Co-Founder of “Bees For Life”. General Secretary of the International Federation of Apitherapy (since March 20, 2012). Member of the American Apitherapy Society (1991-1999); Board Member and webmaster from 1999 to 2001. * Buenos Aires (May 15, 1998; June 23-rd. 2000; September 30-th., 2000; Sept. 21-25, 2011, two oral papers presented during the 42-Nd. Apimondia Congress + creation of the Latin Federation of Apitherapy, elected as General Secretary of the organization, on Sept. 25-th., 2011). * La Plata , June 24-th. 2000. * Rosario (Septembre 20-th., 2000). * Santa Fe (Septembre 21-St., 2000). * Corrientes (October 10-th., 2000). * Tucuman (October 12-th., 2000). * Santiago del Estero (October 13-th., 2000). * Salta (October 15-th., 2000). · Buenos Aires (Channel 52, main agricultural TV channel in Argentina) (May 1998, June 2000). · Posadas and Santa Fe (interviews for local TV + journals). * Wien (14 Januar 2001) (Jafra Austria). February 07, 2009 (speaker at the First Symposium organized by the Austrian Apitherapy Society; www.apitherapie.at ). * Durbuy – Apitherapy Courses offered to the students of “Terre Interieure” (April and June 2009). *capital city ( Bandar Sri Begawan ), June 21, 2003. * Franca , August 1999 (First Brazilian Propolis Congress). * Campinas (Parque Ecologico) – Intensive Apitherapy Course organized by Dr. Cristian Oprea, acupuncture specialist (September 17-18, 2011). * Tsarevo, August 1-3, 2008 (First World Symposium on Honeydew Honey) (“Potential and Perspectives on the Medicinal Uses of Honeydew Honey, a review”). * Interview for BCTV (March 1994). * Vancouver , The First Pacific Northwest Apitherapy Conference, British Columbia, Canada, June 12-14, 1998. * Surrey, B.C. – Conference organized on October 12, 2013 by John Gibeau, the president ofHoneybee Centre. * Termas Las Colinas (2003). * Zhenjiang, Jiangsu Province (October 22-25, 2012) (Apimedica & Apiquality Forum 2012), as speaker (“Treatment of Liver Diseases with Apiphytotherapy according to the rules and principles of Traditional Chinese Medicine”). December 22, 2012 – Lecture for the beekeeping and apitherapy students of Fuzhou Agricultural University. * Bogotá, Gobernación de Cundinamarca (20 Nov. 2007) (Primer Seminario Colombiano de Apiterapia). * Nikosia (Lefkosia) (lecture for beekeepers) (October 22, 2011). * Quito, Centro de Transferrencia y Desarrollo de Tecnologías (Primer Curso Intensivo Internacional de Apiterapia y Apipuntura) (17-18 nov., 2007). * Lyon (Mai 1992; June 16-th. 2001; May 17, 2008 ; 2009-2010, premier Formation en Apitherapie pour A.F.A. ; 8-9 octobre 2011, 26-27 novembre 2011, mars 3-4, 2012 : Formation Initiation AFA, Module A, B et D) ( www.apitherapie-francophone.org ). * Ecully-Valpré (near Lyon), Apitherapy Formation Courses (Module A, B and D) offered to Francophone Apitherapy Association members (October and December 2009 + 28-29 February 2010) ( www.apitherapie-francophone.org ). * Lille , Jan. 21-22, 2012, Colloque d’Apitherapie ( www.apitherapie-francophone.org ). · March 27-April 01, 2008 ( Sixth German Apitherapy Congress, Expo and Workshops). · March 26-31, 2009 ( Seventh German Apitherapy Congress, Expo and Workshops). · March 25-30, 2010 (Eighth German Apitherapy Congress, Expo and Workshops). · March 21-26, 2013, XI-th. German Apitherapy Congress, Expo and Workshops , IBB Hotel, Passau. · March 28-April 01, 2014, XII-th. German Apitherapy Congress, Expo and Workshops , IBB Hotel, Passau. * March 27-31, 2015, the XIII-th. German Apitherapy Congress, Expo and Workshops , IBB Hotel, Passau. * Stuttgart January 2001, for JAFRA Germany; 2005, 14-16 Januar + 10-12 June (Dana Zentrum) and 2006, February 16-19 (HP Bea Scharpf as local organizer. * Karlsruhe , President of the First German Apitherapy Symposium (Deutschsprachigen Apitherapiesymposium), November 5-6, 2011. November 09-12, 2013. President of the Third German Apitherapy Symposium (Deutschsprachigen Apitherapiesymposium) + Workshop with Prof. Miao Xiaoqing from Fuzhou University, China. Interviews for RTL (German Television Channel) (January 9, June 1998; July 23, 1999; July 19-th., 2002). * Gerson Institute, Dobogókő, December 4-6, 2011. * Second Hungarian Apitherapy Conference, Budapest, February 11-12, 2012. * Semarang (Nov. 04, 2003). * Makassar : consultant for Leading Profile Malaysia (Oct. 30, 2003) + speaker at 19-24 Nov 2013 The 3rd International Conference on the Medicinal Use of Honey Bee Products. Honey, from Traditional to Modern Medicine. * Dublin , August 21-26, 2005 (Apimondia Congress) ( www.apimondia.org ). * Rome (“Apimedica 2008”) (presentation on medicinal bee plants and on clinical use of bee products; coordinator of honey and bee venom massage workshop; moderator and co-moderator of various scientific sessions. * Second Japanese Apitherapy and Apipuncture Symposium and Workshop , Narita View Hotel, Tokyo, September 26-28, 2004. * First Nippon Apitherapy and Apipuncture Symposium , Narita View Hotel, Tokyo, June 16-19, 2006. * Second Nippon Apitherapy and Apipuncture Symposium , Narita View Hotel, Tokyo, September 18-20, 2007. * Daegu , two conferences given at the VI-th. International Apitherapy Congress organized by the International Apitherapy, Bee Acupuncture and Healthcare Association (November 12-13-th., 2001). * Kyongju City , keynote speaker during the 4-th. Symposium of the Korean Apitherapy Healthcare Association (Nov. 27-28, 2007). * Johor Bahru (Oct. 22, 2003 + 1-3 August 2010, Medicinal Beekeeping Course ). * Kubang Kerian , Kelantan, Universiti Sains Malaysia , Apitherapy Courses for the Pharmacology Department, July 15, August 14, 2010 and October 3-10, 2012. * Ciudad de Mexico, D.F. (1-2 September 2000). * Tlaxcala, July 15-23, 2006. · January 7-8, 2012 (first of the three Modules of initiation in Apitherapy). * Fez, co-organizer of the First International Conference on Api-Phytotherapy, May 18-20, 2012. * Utrecht (13 January 2001) (Jafra Cosmetics Netherlands). * Abuja (Presidential National Hospital of Abuja, March 5-7, 2007); organizer: ApiWorld International, Mr. Saka Samson, Mr. Johny Odebunmi, Mr. Dr. Olatunji Odebunmi. * Tacna (July 12-13, 2003). * Cebu (Oct. 29, 2003). *Primer Curso de Apiterapia na Portugal (May 8-9, June 19-20 + July 17-18, 2004 Lisbon ). October 14-17, 2011, president of the Fourth Romanian Apitherapy Congress, Expo and Workshops with international participation , RIN Grand Hotel (www.apiterapie.ro ). November 1-4, 2013, president of the Sixth Romanian Apitherapy Congress, Expo and Workshops with international participation , RIN Grand Hotel (www.apiterapie.ro ). Apimondia Foundation Bee Products Fair, March 12-13, 2011. · 26-27 February 2011, Beekeeping Festival organized at “Casa de Cultura a Studentilor”. * Iasi ( November 21-24, 2008) – The Second Romanian Congres, Expo and Workshops on Apitherapy and Apipuncture with International Participation, Unirea Hotel ( www.apiterapie.ro ) + The Second National Symposium on Apitherapy, February 21-23, 2014, at Palas Mall (www.apiterapie.ro ) + The VIII-th. Romanian Apitherapy Congress, Expo and Workshops (October 30-Nov. 2, 2015). · 2011, July 16-17. Summer Apitherapy School ( www.apiterapie.ro ). · 2012, January 14-15. Winter Apitherapy School ( www.apiterapie.ro ). · 2012, March 31-April 1. Spring Apitherapy School ( www.apiterapie.ro ). * Otopeni (19-21 Sept. 2004 at Sky Gate Hotel). August 4-5, 2012 – Summer Apitherapy Workshop for the members of the Romanian Apitherapy Society’s members. 31 May + June 1-2 – Conference for open public + Summer Apitherapy Workshop for the members of the Romanian Apitherapy Society’s members. * Sibiu, October 10-16, 2018, President of the Local Organizing Committee of Apimedica 2018, event co-organized together with Apimondia. * Other lectures and courses offered in Bucharest, Mangalia, Neptun, Constanta, Eforie Nord, Arad, Pitesti, Tekirghiol, Bazna . · Over 30 interviews to Radio Channels like Radio Constanta, Radio Romania Actualitati – “Sfertul academic” with Paul Grigoriu, “Iarba verde de acasa” with Verman Gh. ), Smart FM, etc. * Perm, visit to ” Tentorium ” (invited by Dr. Nailya Khismatullina ) + Conferences and Workshops (12-15 May, 2011). * Riyadh and Al-Baha. Conferences and Workshops offered to King Saud University, Beekeeping Chair (22-30 May and July 18-22, 2011) (July 5-6, 2012). *June 26-27 + October 25, 2003 (Conferences for “Leading Profile Malaysia”). * Ljubljana, Maribor – Apimedica 2010 (29 Sept- 02 October, 2010). 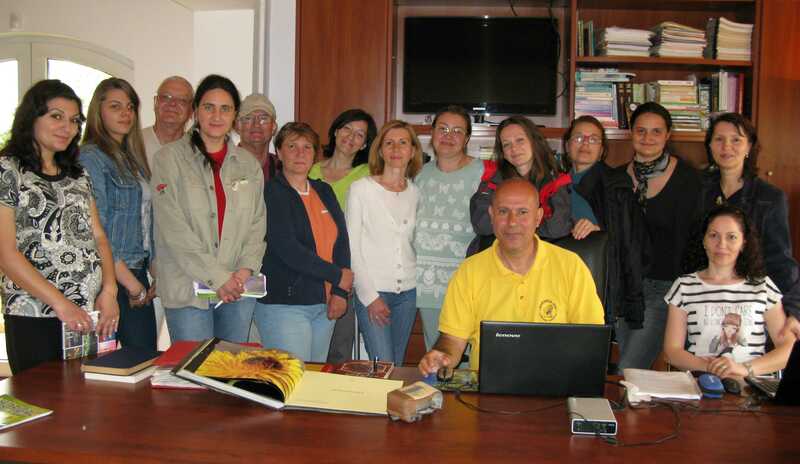 * Nitra , Intensive Apitherapy Course in three Modules offered to the beekeepers of the Slovakian Beekeeping Association (president Ludovic Gal, coordinator Dr. Robert Chlebo) (February and March 2009). * Gran Canaria , Curso Intensivo de Apiterapia, 11-13 noviembre, 2011. * Martigny, La Fête d’Abeille, 1-3 Sept., 2006. * Chang-Hua City , August 3-7, 2002. * Jala (Oct. 19, 2003). * Aydın, Cine Beekeeping Museum , Intensive Apitherapy Course, December 8-10, 2011. * Kiev – Apimondia Congress (Sept. 29-October 5, 2013). Participation as president of the Romanian Apitherapy Society. · Interviews for two local TV channels + several local newspapers. * Westlake Village, California (counselling for Jafra Cosmetics International at their Headquarters) (April 16-18, 2001). *Board member and webmaster of AAS (August 1998 – May 2001). * San Cristobal, Edo. Tachira , 27-31 Julio 2005. *President of the first XI Romanian Apitherapy Congresses, Expos and Workshops with international participation (2007, 2008, 2010, 2011, 2012, 2013, 2014, 2015, 2016, 2017, 2018). *President of the First Romanian Apitherapy Symposium (UMF Bucharest, 12 June 2009). *President of the Second Romanian Apitherapy Symposium (Palas Mall, Iasi, 21-23 February, 2014). * President of the Local Organizing Committee of “Apimedica 2018“, symposium organized together with Apimondia. *Co-Organizer of the International Courses on Apitherapy and Apipuncture, Atami City, Japan (September 2002 ), Taiwan ( August 2002 ), etc. * Co-Organizer of the international Workshop on Apitherapy Vancouver, Canada (September 1999), Apimedica 2006 in Athens, Greece ( www.apimedica.org ). Internet Activities : since February 1999-today. Albania, Algeria, Argentina, Armenia, Australia, Austria, Bangladesh, Belgium, Benin (Republic of Benin), Bolivia, Bosnia and Herzegovina, Brazil, Brunei, Bulgaria, Cameroun, Canada, Chile, China, China (Hong Kong), Colombia, Costa Rica, Croatia, Cuba, Cyprus, Czechia, Denmark, Dominican Republic, Ecuador, Egypt, El Salvador, Estonia, Ethiopia, Finland, France, Germany, Ghana, Greece, Guatemala, Honduras, India, Iran, Ireland, Israel, Italy, Japan, Jordan, Korea, Kuwait, Lebanon, Libya, Lithuania, Macedonia, Malaysia, Morocco, Mexico, Nepal, Netherlands, Netherlands Antilles, Nigeria, New Zealand, Nouvelle Caledonia, Oman, Paraguay, Peru, Philippines, Portugal, Puerto Rico, Romania, Russia, Saudi Arabia, Serbia, Singapore, Syria, Slovakia, Spain, South Africa, Sudan, Sweden, Tunisia, Turkey, United Kingdom, United States of America, Uganda, Uruguay, Venezuela, West Indies. * Webmaster and Owner of www.apitherapy.com (since August 1999). *Co-founder of the Apitherapy Internet Discussion Groups (“Apitherapy-Lists”) (since 1997), initially in English, then also in Spanish/Portuguese, French, German and Romanian. Trainer on Apitherapy for the Romanian Health Department (Post-Graduate Univ. Studies Center for Health Practitioners) (since February 2007). *a software ( “Apither 97” ) made together with a German partner (Thomas Schachtner from Passau). Lilia Matei (1), Iuliana Crişan (2), Ştefan Stangaciu (3), Daniela A. Ion (4,5), Carmen C.
“Sanft heilen mit Honig, Propolis und Bienenwachs” (“Soft healing with honey, propolis and beeswax”), TRIAS Publishing House, first edition, June 2015. “Sanft heilen mit Bienen-produkten“ („Gentle Healing with Bee Products“), Haug Verlag, Germany, second edition, 2004. ISBN: 3830421907. Co-author: Elfi Hartenstein (Germany). Inventor of Iridotherapy , a new method and apparatus for disease treatment and research through light stimulation of the iris (Patent No. 89901, 31.3.1986 at the Romanian Office of Inventions and Marks). search with keywords “Dr Stefan Stangaciu” for more videos I made in order to promote the Apitherapy, worldwide. Hobbies: Beekeeping, Gardening, Travelling, Paragliding. Sharing everything I know best with friendly people from all over the world!